Oregano Basil Salt Extra virgin olive oil Cucumber. 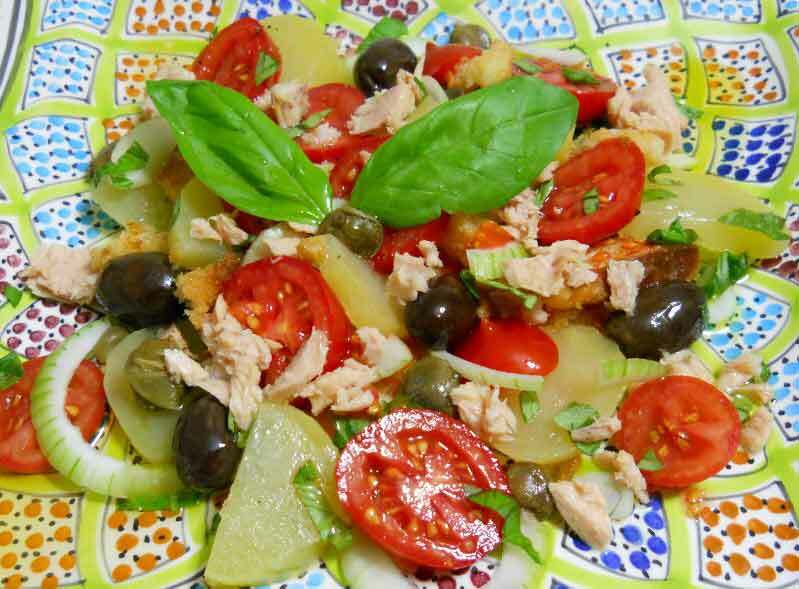 Break the toasted bread into a bowl (we suggest you to quickly immerse it in lukewarm water), boiled potatoes (cut in little pieces), cherry tomatoes, thin cut onion, capers, olives, basil, salt, oil. Mix all ingredients together. Add sliced boiled eggs and tuna in oil for very tasty main course. Salt Pepper Extra virgin oil. Cut the swordfish into thin slices, match them and set remains aside. Mince swordfish scraps and brown them with 2 spoons of olive oil. Put them in a bowl, together with chopped up tomatoes, parsley, basil, capers, pine-kernels and breadcrumbs. Mix with provola ragusana, add salt, pepper and add olive oil and mix well. 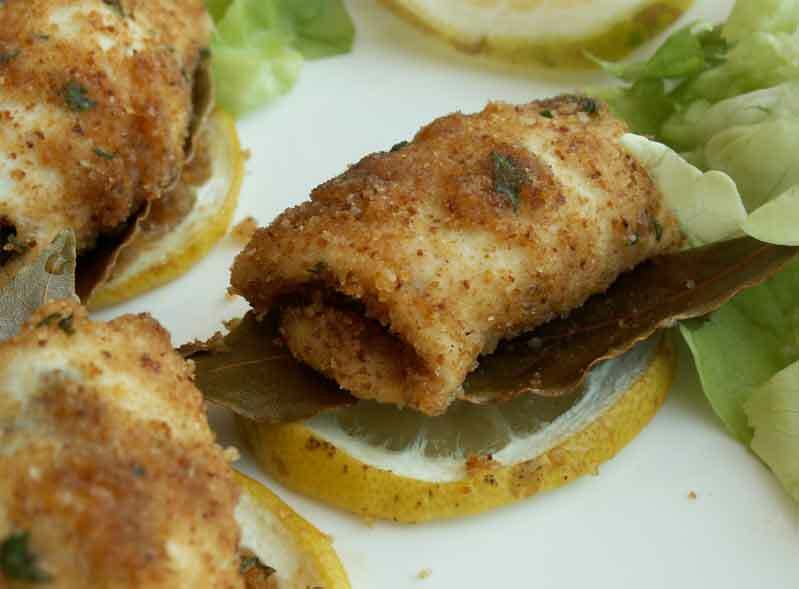 Spoon the mixture onto the centre of each swordfish slice, roll the slices and fix them with a toothpick. Roast and serve hot. 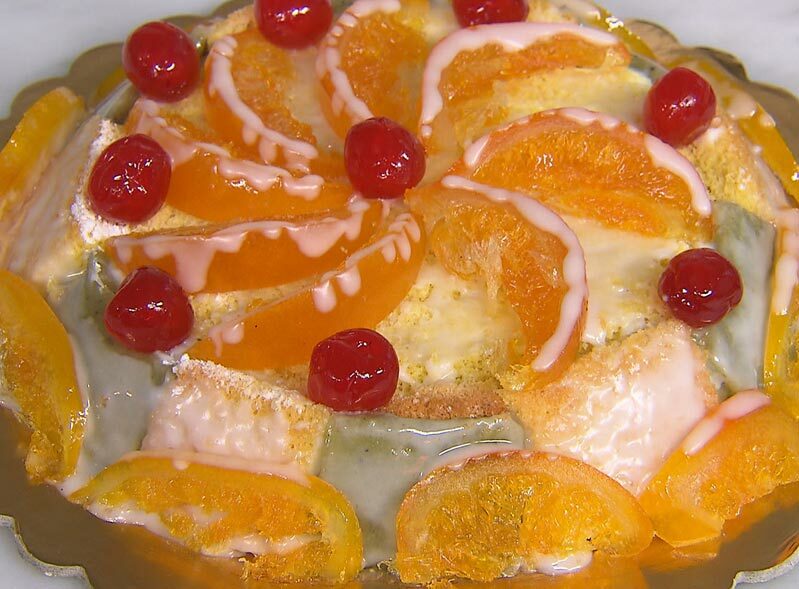 100g diced candied fruit peels Soak the sponge cakes in Maraschino, sugar and water. Sift ricotta together with sugar and vanilla. Set 1/3 mixture aside; it will be need to decorate the cake. Add to the remaining mixture chocolate slivers and diced candied fruit peels. Mix together. Prepare the sponge cakes soaked in Maraschino. Sprinkle only one side of each sponge cake with Maraschino, sugar and water. Place one cake on a tray and spread the mixture onto it using a metal spatula. Place the other sponge cake on top. Evenly cover the outside of the cake using the set aside mixture. Garnish the edges with pistachios and decorate with candied fruit.